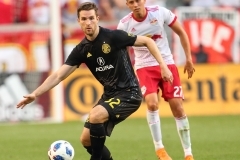 HARRISON, NJ — Two weeks ago, Columbus Crew forward Patrick Mullins was deemed spare parts – traded away from D.C. United after seeing his playing time in the nation’s capital shrivel up. 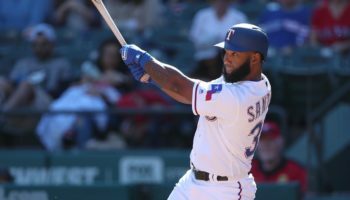 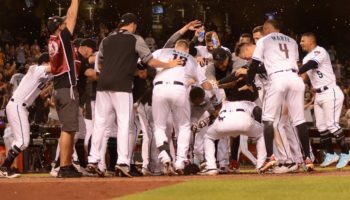 Tonight, in his first start with his new team, Mullins played a pivotal part in one of the Crew’s biggest wins of the season. 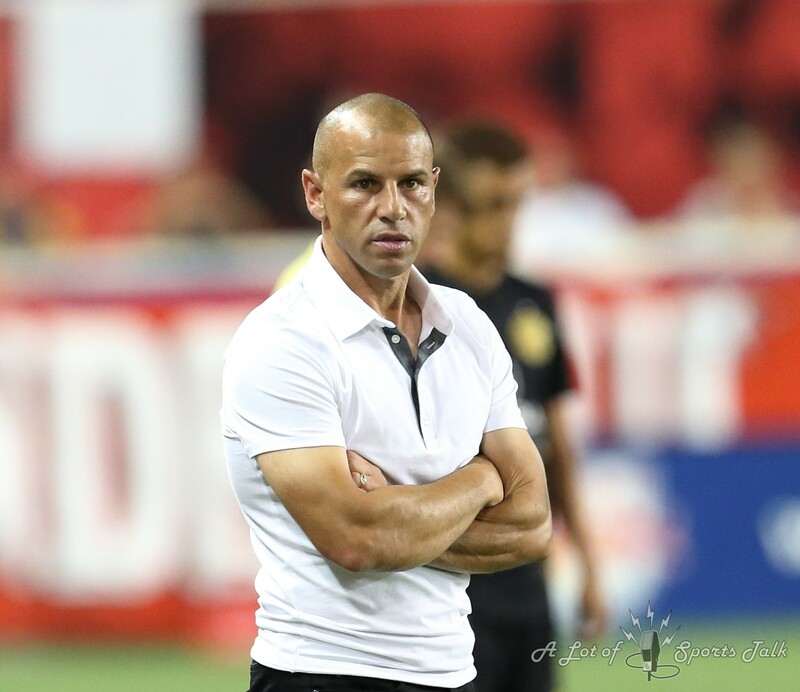 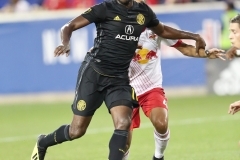 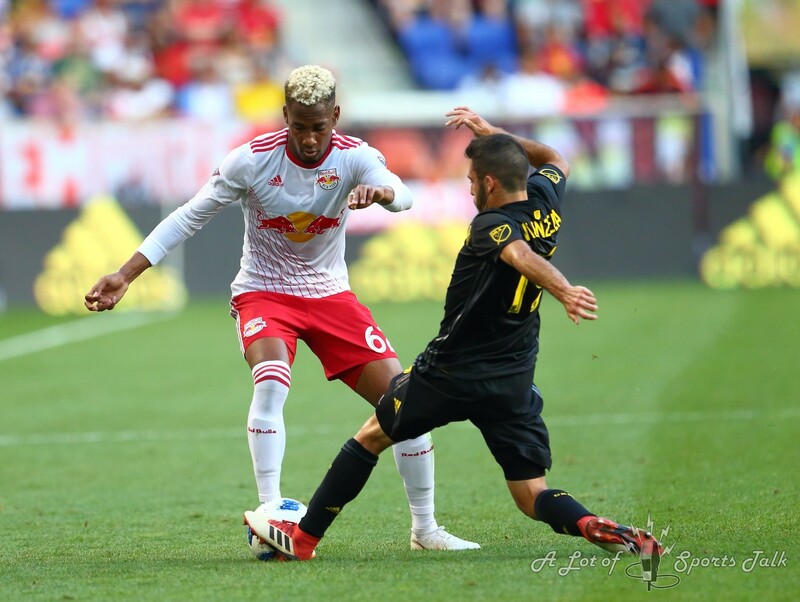 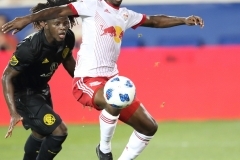 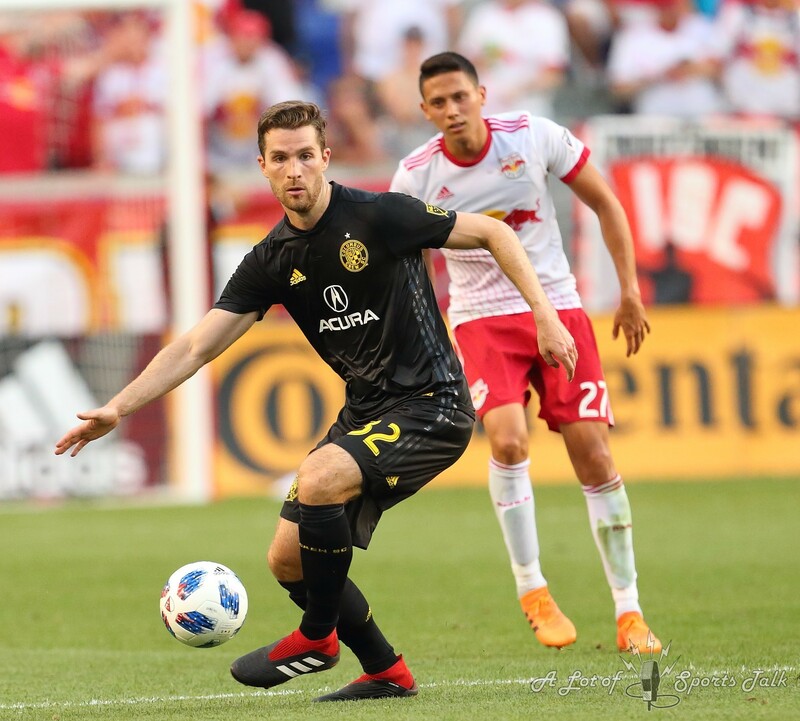 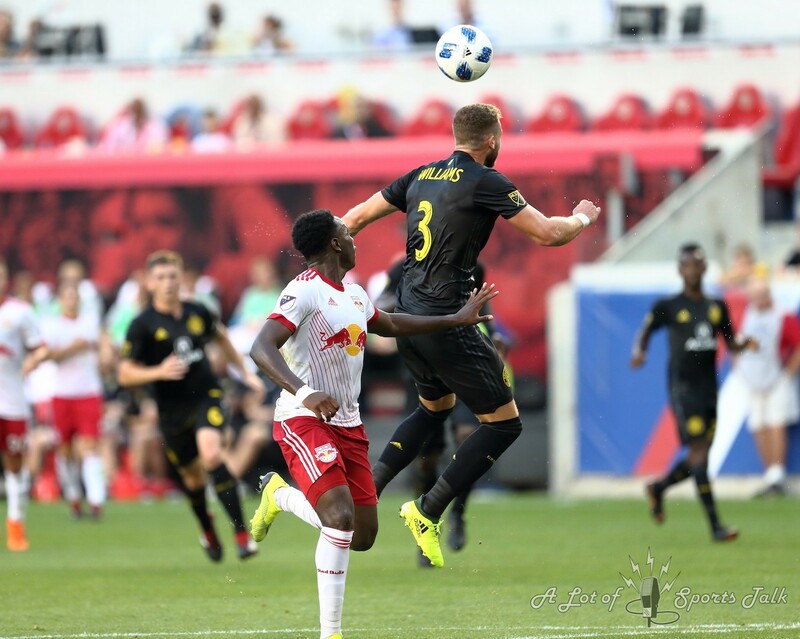 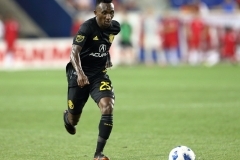 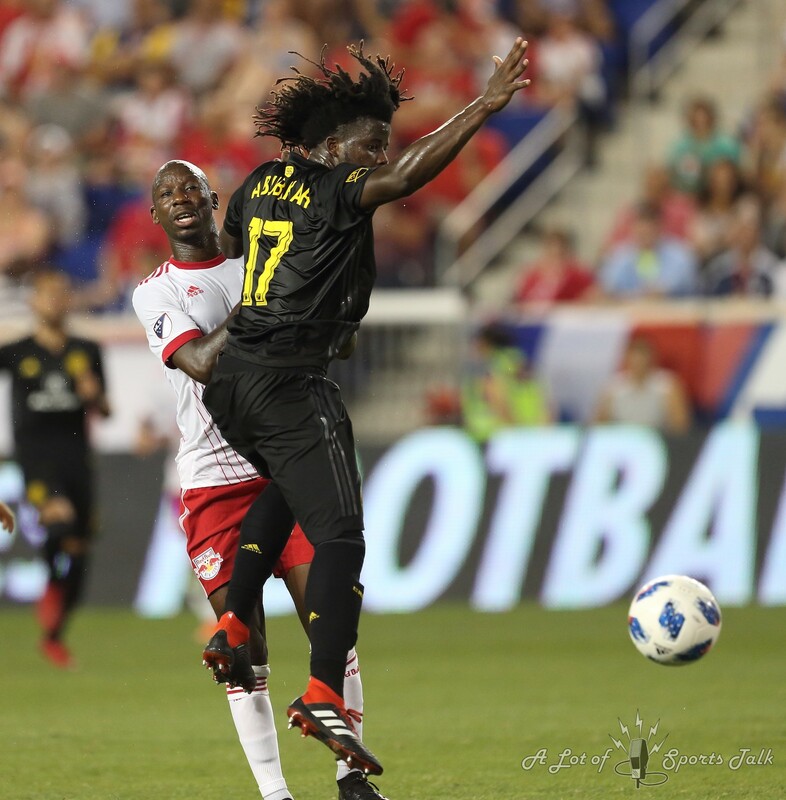 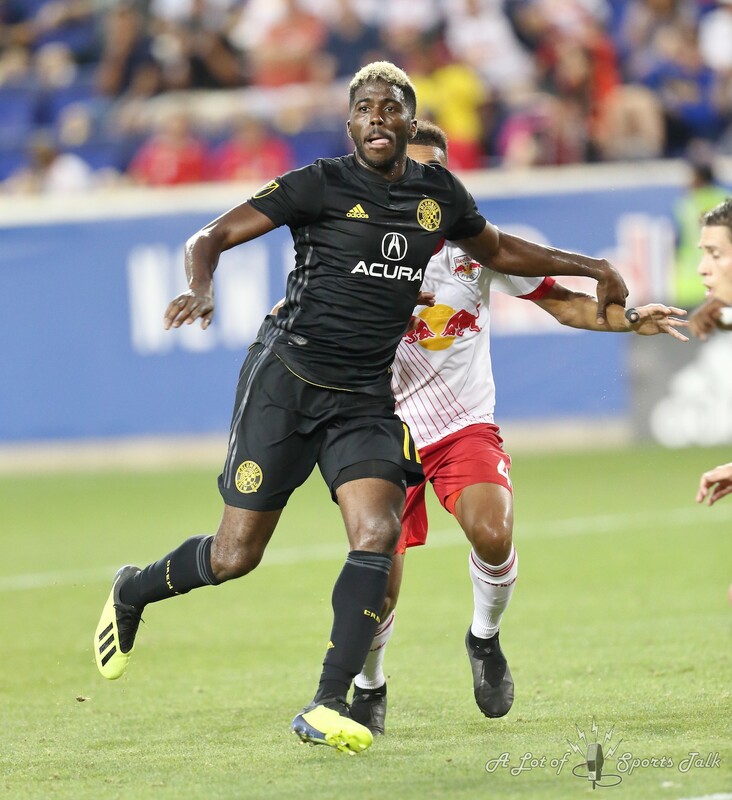 Mullins had a goal and an assist as Columbus jumped out to a 3-0 lead in the first 30 minutes and held on for a crucial road victory against the New York Red Bulls, 3-2, at Red Bull Arena on Saturday evening. 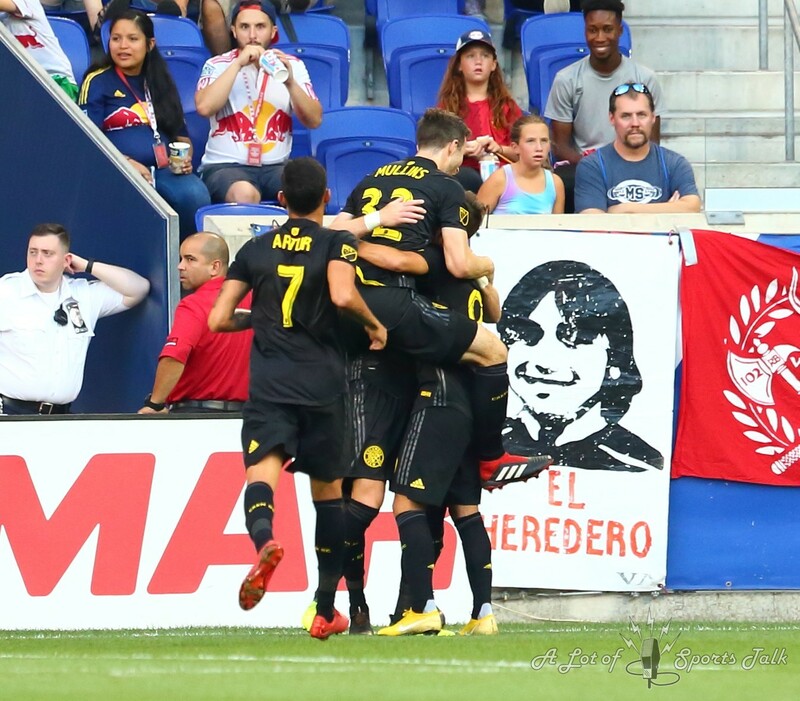 The Crew’s three away goals today were as many as they had scored in their 10 away games combined going into tonight’s contest. 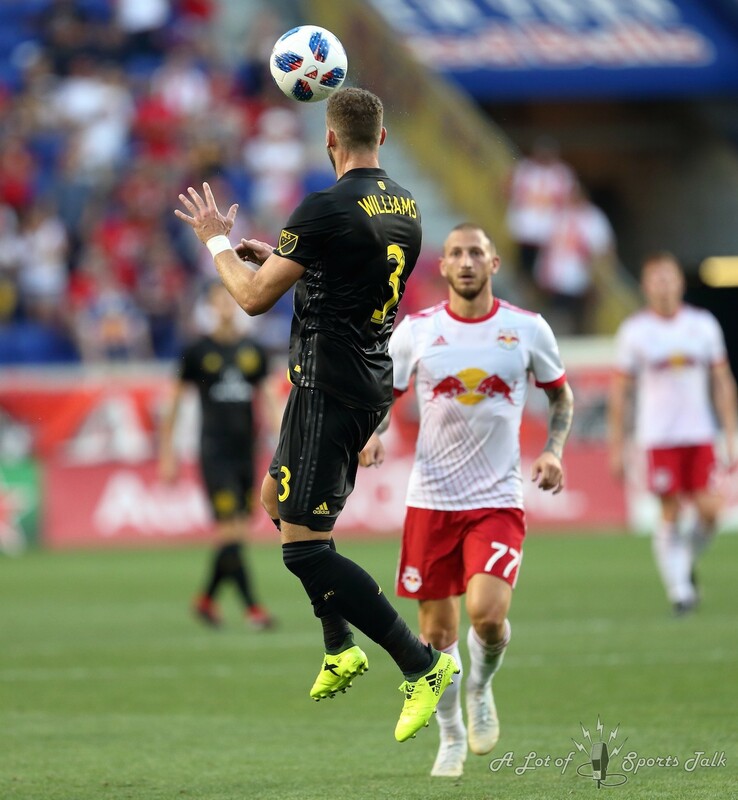 It was on July 11th when Mullins, who had already lost his starting place at D.C. United and was due to see even less playing time at the club with the addition of former England international Wayne Rooney, was traded to Columbus in hopes to jump-start his 2018 campaign. 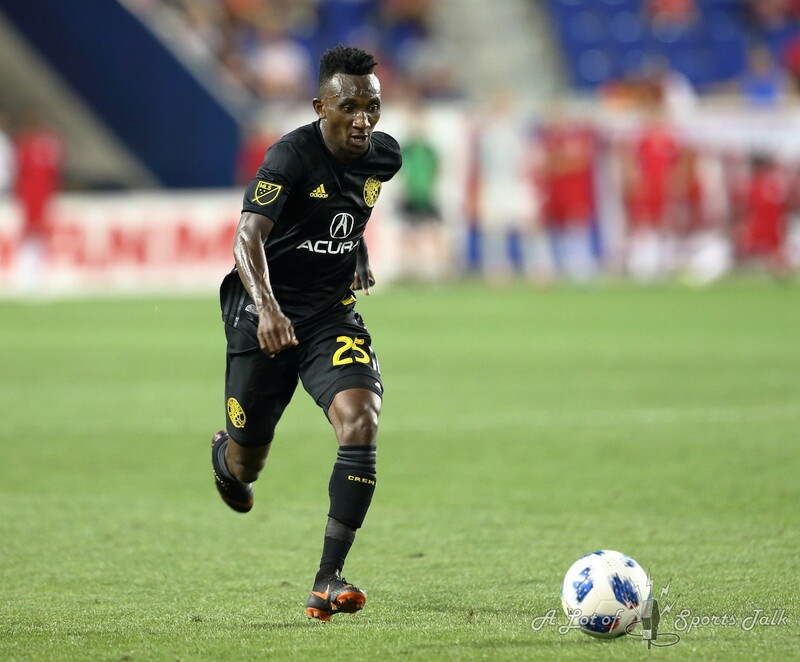 After coming on as a substitute in last week’s 3-2 win over Orlando City, Mullins made his first start with his new team tonight. 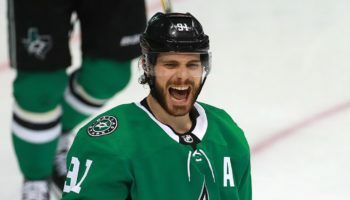 And what a start it turned out to be. 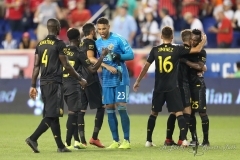 On a free kick awarded to Columbus in the seventh minute, Mullins headed Pedro Santos’s delivery into the box toward the right foot of center back Jonathan Mensah, who fired a one-time volley past New York Red Bulls goalkeeper Luis Robles to give the Crew an early lead. 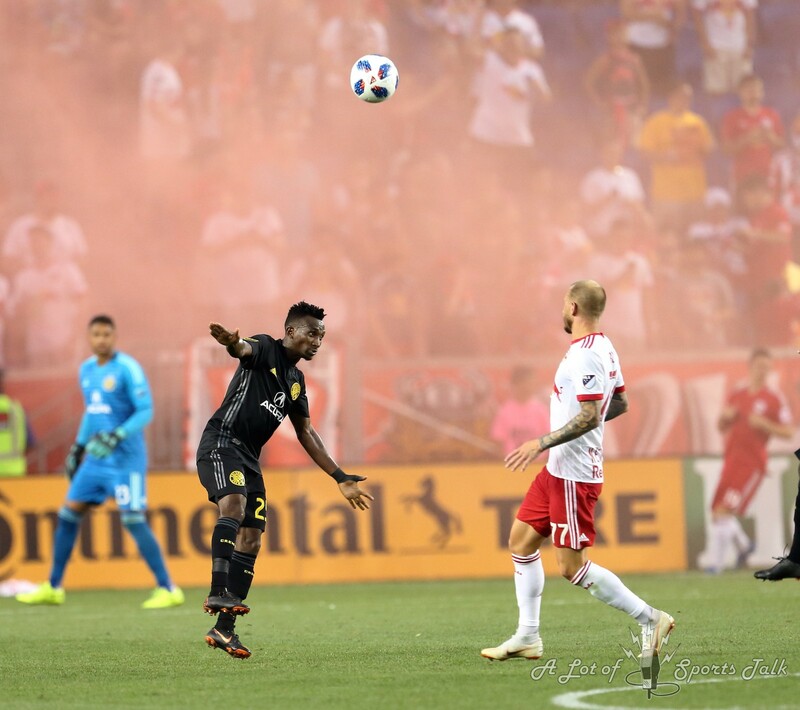 Later in the half, Mullins found himself in on goal after a lovely through ball from defender Harrison Afful at the midfield stripe. 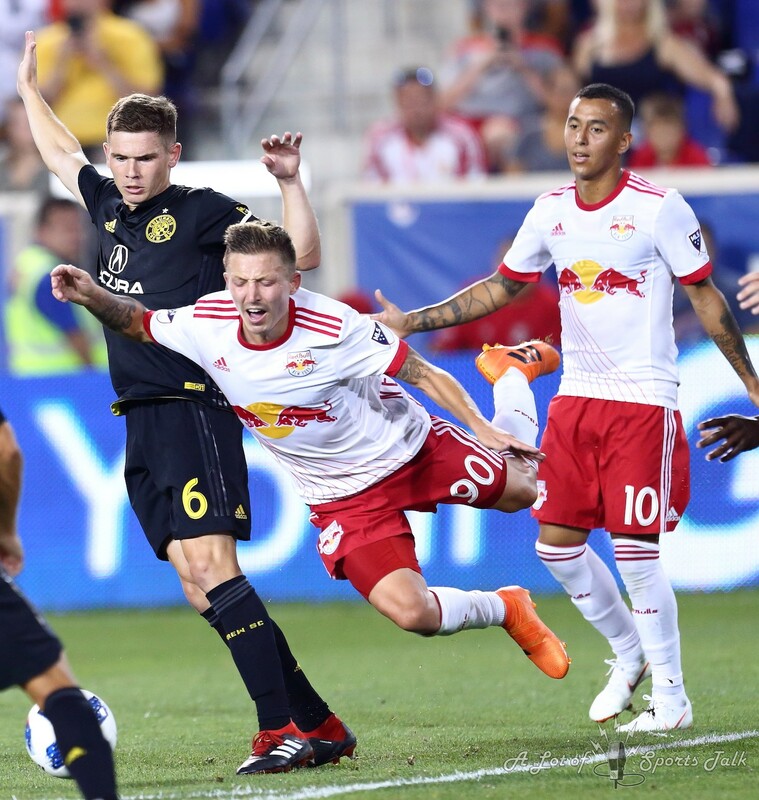 With his forward partner Gyasi Zardes available to his right, Mullins decided to keep it himself, and his left-footed shot beat Robles to his far post to double the Crew’s lead in the 24th minute. 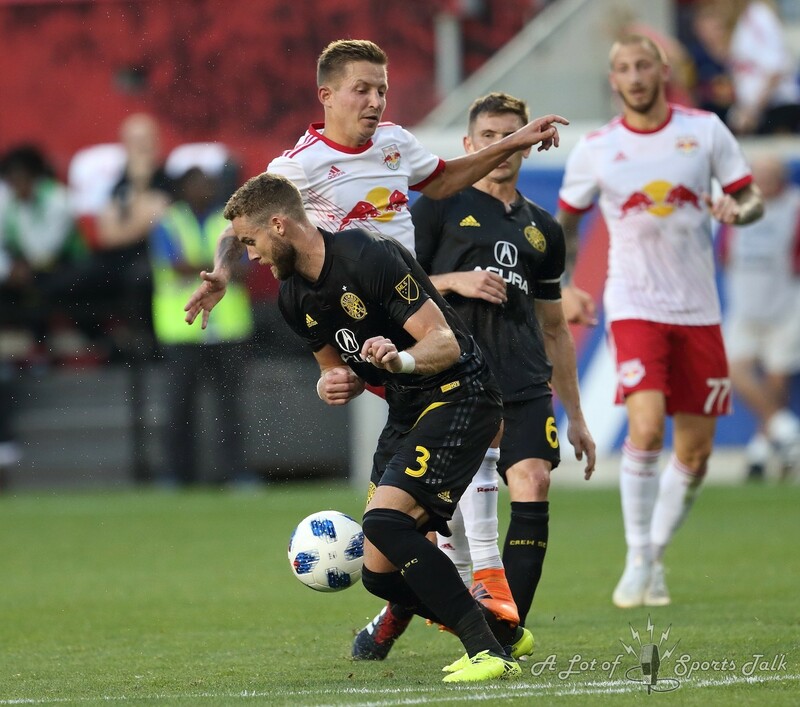 Columbus capped off its dominating half with a third goal, as a Santos corner ended up glancing off the head of Red Bulls midfielder Sean Davis and into his own net to give the Crew a 3-0 lead after a half an hour. 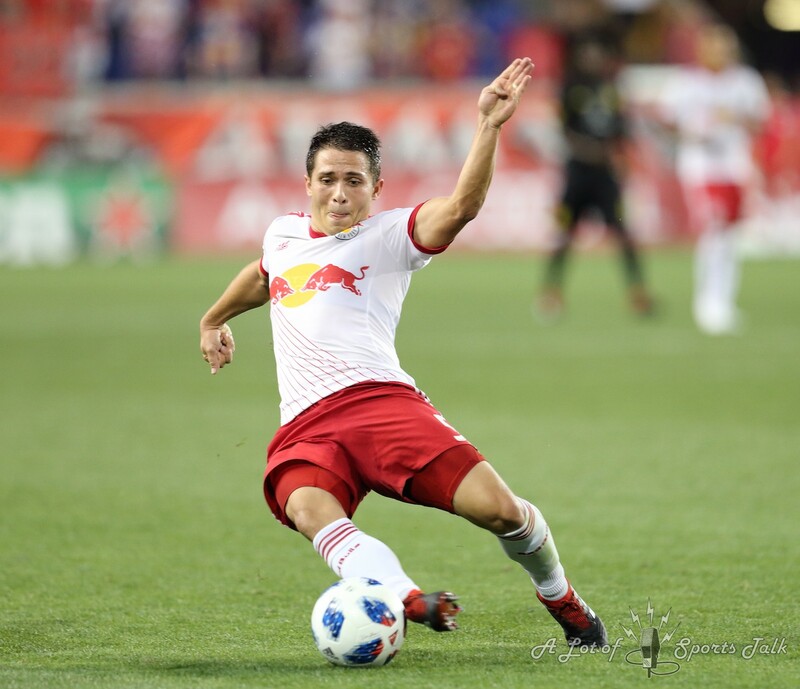 The Red Bulls started tonight’s game without forward Bradley Wright-Phillips, who scored his 100th MLS goal in Wednesday’s win against D.C. United, as well as midfielder Kaku, the MLS leader in assists, as coach Chris Armas decided the leave the two on the bench on the team’s third game in eight days. 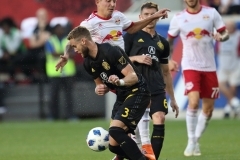 New York’s lack of punch up front showed with its lackluster first-half performance, which saw the Red Bulls give up at least three goals in a game for only the second time all season – leading to the team being lustily booed walking off the field down 3-0 at halftime. 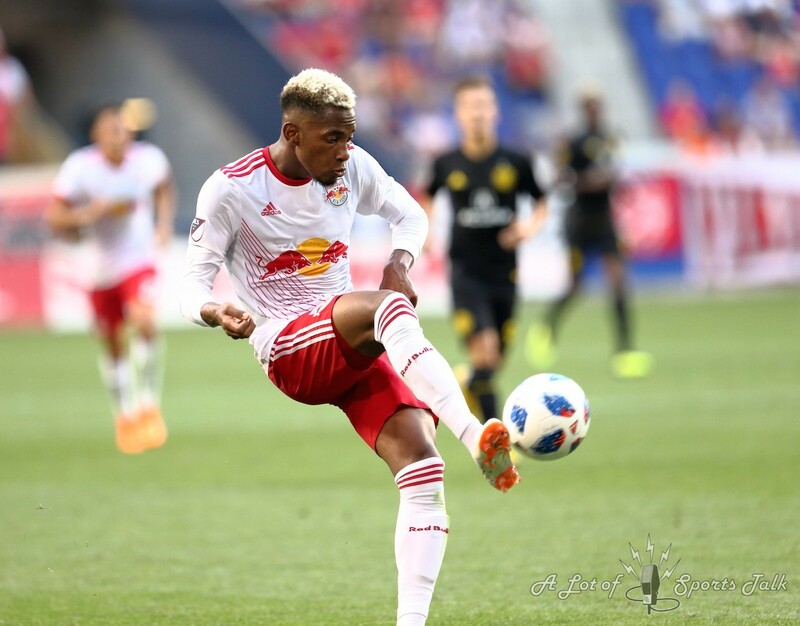 Those two players were introduced at the beginning of the second half and their impact was immediate as the Red Bulls almost pulled off a remarkable comeback. 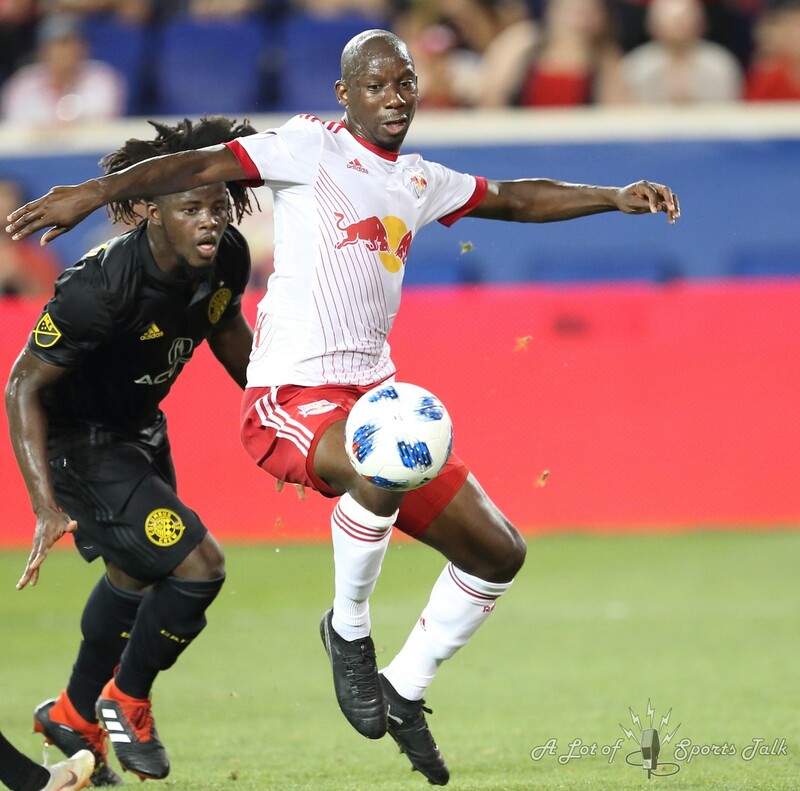 Wright-Phillips’s presence in front of the net forced Mensah into an own goal after a cross by New York midfielder Daniel Royer, putting the Red Bulls on the board just five minutes after the restart. 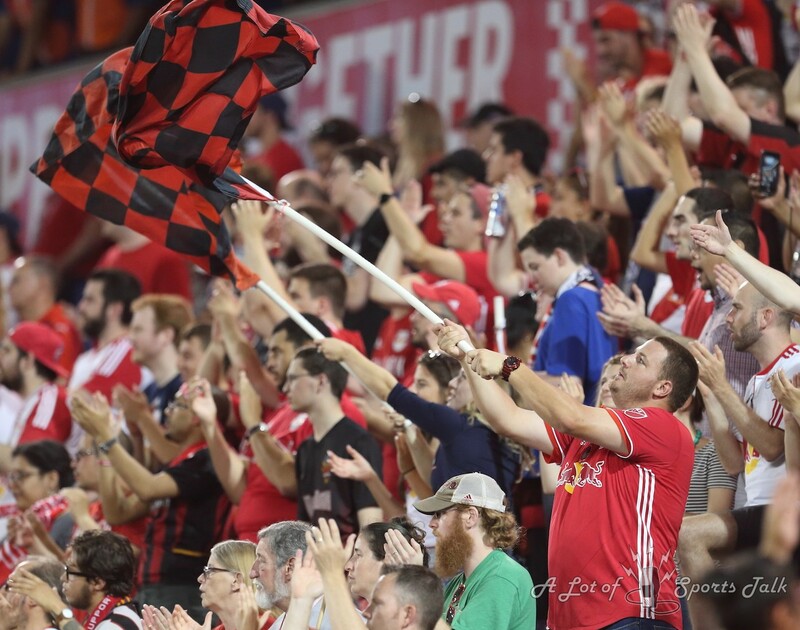 In the 69th minute, Kaku sent in an inch-perfect cross that found Royer, whose subsequent header beat Columbus goalkeeper Zack Steffen to the far corner to make it a one-goal game. 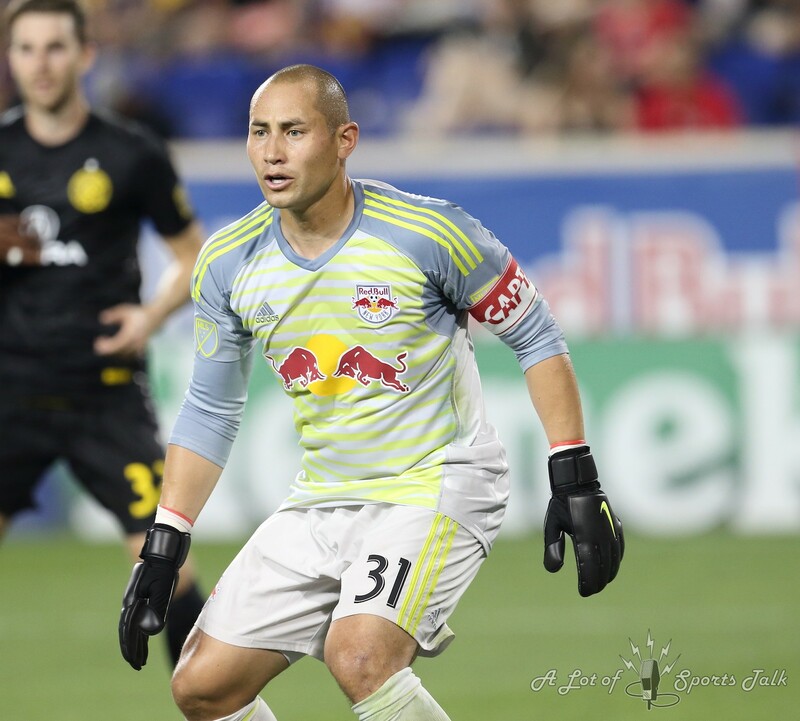 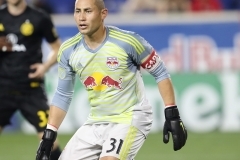 The Red Bulls had a couple of gilt-edged opportunities later in the half to tie the game up. 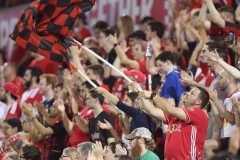 Kaku’s free kick from just outside the penalty area sailed slightly over the crossbar in the 77th minute. 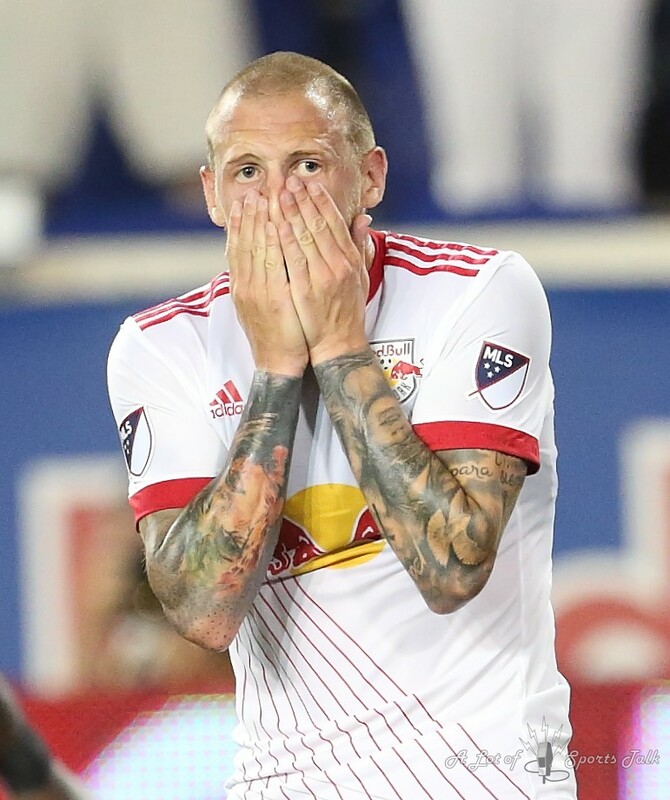 Three minutes later, Royer found himself free on the left side inside the box but ballooned his shot well above Steffen’s goal on his attempt. 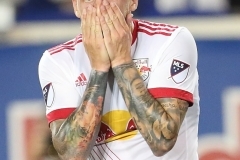 Steffen made four saves in the game, with his biggest one coming when he sprawled to his left to palm away a point-blank header from Red Bull defender Aaron Long in the 18th minute to keep Columbus’s lead at 1-0. 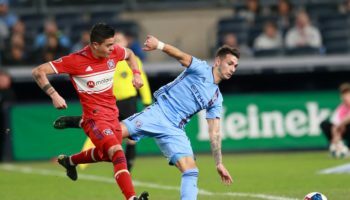 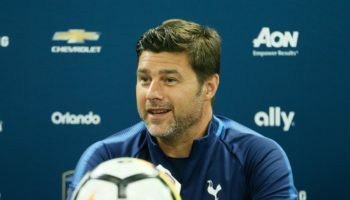 “If that goes in the game could have been completely different. 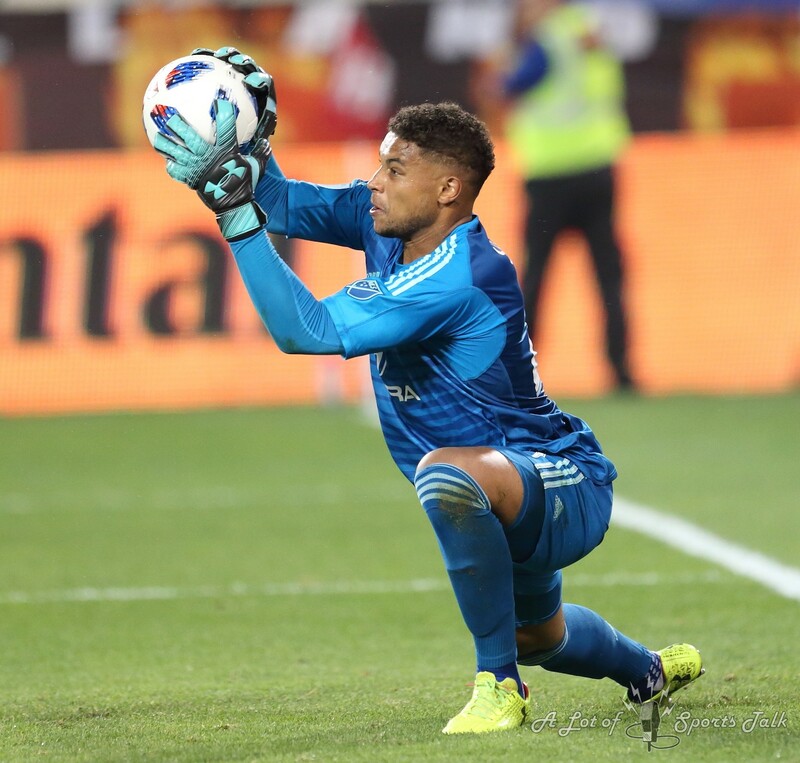 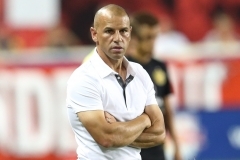 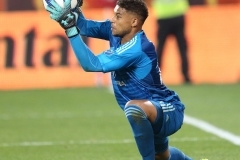 It was a good moment for me and it kept our team in the game,” Steffen said. 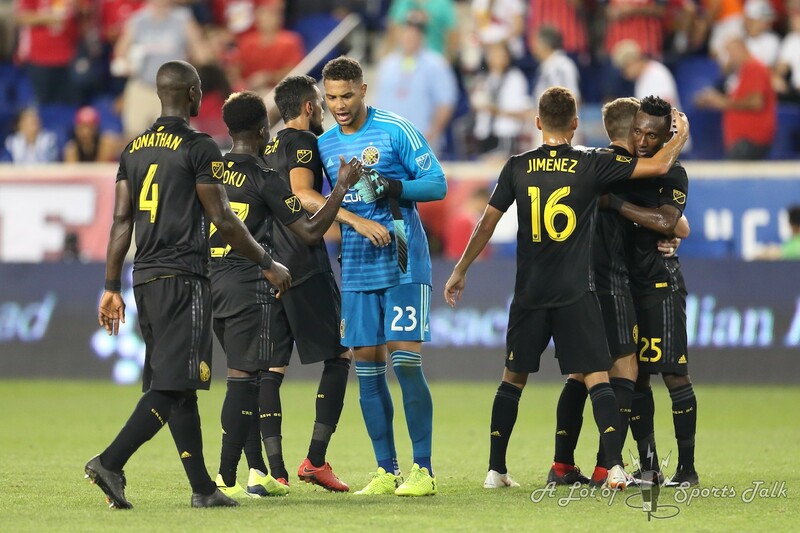 After losing four out five, the Crew have now won two in a row while snapping New York’s three-game winning streak.